I ran on Thursday evening with my running group. I almost didn’t go because I was falling asleep on the train back from work – I only had about 4 hours sleep the night before. It was a short one (I lumped myself in with the beginners!) And we also did a bit of fartlek training afterwards. The run went better than Mondays, though towards the end I was getting pain in my lower back again. I think stretching for longer beforehand helped! More of that please. The fartlek training did not go as well. We were running halfway across a bridge at 80% of our top speed, and gently jogging back to the start – repeat three times. After the first one I was wheezy, so had to go to my car to grab my inhaler…then I tried my second one, and I felt exhausted and wobbly on my legs. So I cheated a little and didn’t do the third one. I’m glad I didn’t, I felt quite woozy when I stopped. On the other side of that, I feel like I should have pushed myself more to do it…I don’t know. Confusing. On the run my average pace has improved. Though the more of a course I run the better that will get on its own. 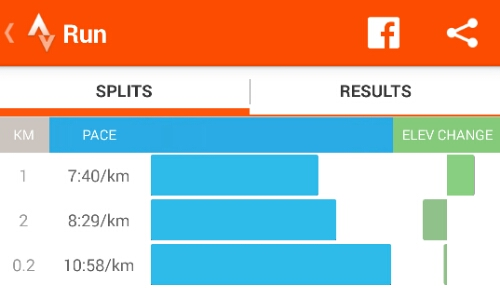 The Fartleks saw my pace improve by leaps and bounds, as expected when almost sprinting! Thanks, yeah my sleeping is awful. I got a decent amount of sleep last night, hoping to keep that up!